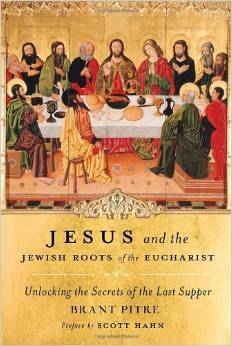 Jesus and the Jewish Roots of the Eucharist, by Brant Pitre, Doubleday, New York, 2011. 202 pages. 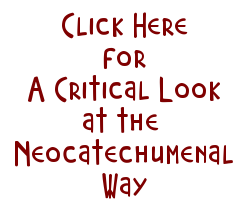 Nihil Obstat, Impramatur, with a foreword by Scott Hahn and amply footnoted. “The message of Jesus is completely misunderstood if it is separated from the context of the faith and hope of the Chosen People.” Pope Benedict XVI, General Audience, March 15, 2006. In his book, “Jesus and the Jewish Roots of the Eucharist“, Dr. Brant Pitre, Professor of Sacred Scripture at Notre Dame Seminary in New Orleans, gives us a number of insights into Jesus actions and words at the Last Supper. His work, subtitled “Unlocking the Secrets of the Last Supper” does just that, putting things together for us in much the same way as Jesus did for two disciples in Emmaus. Starting with Sacred Scripture, and judiciously using extra-biblical Jewish sources such as the Mishnah, the Targums, the Babylonian Talmud, and Midrashim, as well the writings of a number of Church Fathers and even the first century Jewish historian Josephus, Pitre gives us a glimpse of Jewish expectations of the Messiah in the time of Jesus and how those expectations help us to understand Catholic teaching on the Eucharist, as well as some of the more puzzling aspects of the Last Supper narratives of the Gospels and the sixth chapter of the Gospel of John. Pitre convincingly demonstrates that a significant number of Jews of the time were looking for far more in the coming Messiah than just a political hero to save them from their enemies. Many, in fact, inspired in part by the prophecy in the book of Deuteronomy, were looking for a new Moses to lead them on a new Exodus to a new Promised Land. Starting with that premise, Pitre demonstrates that the words actions of Jesus at the Last Supper were perfectly consistent with these expectations and that this new Exodus would be proceeded by a new Passover sacrifice and meal, and center on a new Covenant. 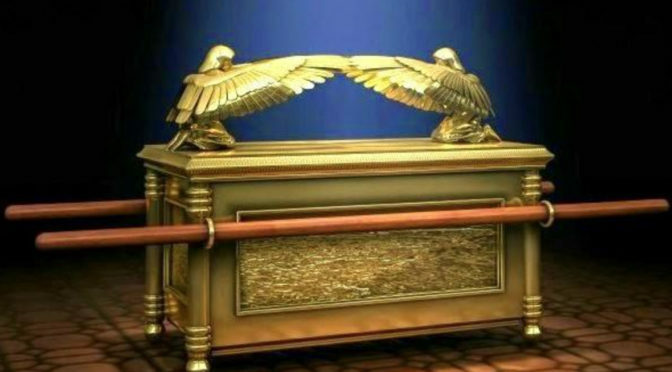 Pitre proceeds to highlight many “keys” to unlocking the mystery of the Last Supper, which are just some of the signs or “types” in the Old Testament that point to the messianic age of Christ. Three of these are: the Passover, the Manna, and the Bread of the Presence. As I said, this is just one of the many keys to the Last Supper presented in this wonderful book, which helped to unlock “the secrets” of the Eucharist and the Last Supper for me. I’m confident this very readable book will do the same for you. I’m talking about the list of Jesus’ ancestors as recorded in Matthew 1:1-17, which we hear at Mass once during Advent every year and once again at the Christmas Vigil Mass. I’ve often wondered about the names on the list, so I decided to research them. It’s a soap opera, for sure! We see some women’s name in this list, and there is scandal associated with four of the five women mentioned: Tamar and Rahab were prostitutes, and Bathsheba was an adulteress. If that weren’t bad enough, Tamar, Rahab, Ruth, and Bathsheba were all foreigners too. The final woman on the list is Mary, the one we look up to as our spiritual mother and the perfect example of a Christian. If that weren’t enough, check out some of the kings in the list. One brought prostitutes into the temple, and another burned his son alive as an offering to idols. Of course, there are several godly men in the list too. This genealogy shows us several things, I think. that God can “write straight with crooked lines”. We see that He can bring great good out of evil. This history shows that God raised up good and godly kings to help undo the damage caused by the evil ones. And weren’t the women on this list the types of women that Jesus befriended and redeemed? God saw fit to give key role to Gentiles, and even women in salvation history, so salvation is available to all. God made himself known to his Chosen People, the Jews, and brought about an awesome revelation of Himself in the person of Jesus. Abiud, His name means “Father of Honor” in Hebrew. Zadok, His name means “Righteous” in Hebrew. Eleazar, His name means “God is our Helper” in Hebrew. 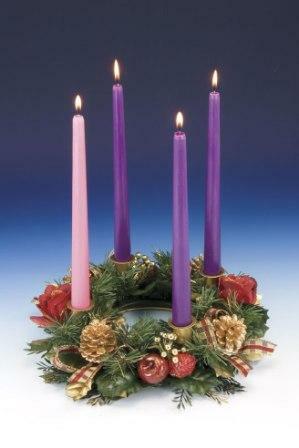 Matthan, Jacob, and Joseph, who married Mary, the mother of Jesus, who was called the Messiah. 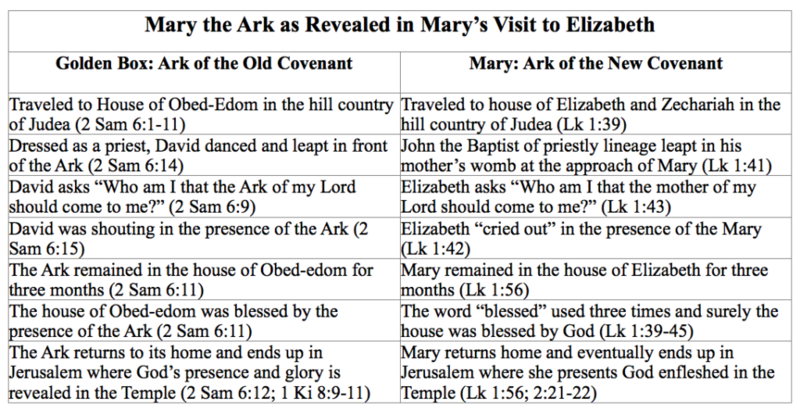 Mary, the one we look up to as perfect example of a Christian, and Joseph her faithful husband. So then, there were fourteen generations from Abraham to David and fourteen from David to the exile in Babylon, and fourteen from then to the birth of the Messiah.